About two dozen people came to rest on the beaches of the southern coast of the occupied Crimea on May holidays, human rights activist Sergei Naumovich reports on his Facebook page. Naumovich published photographs of the deserted beaches of the annexed Crimea, taken from web cameras. “One of followers from Crimea said like nobody came to rest on the southern coast on May holidays. 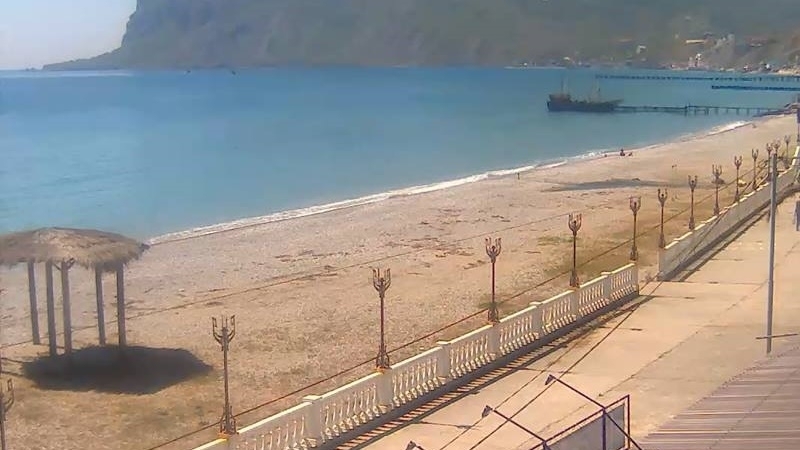 I decided to look through the web-cams at all the beaches in the temporary occupied Crimea. I counted about 20-25 people. Well, let’s agree that 25 people this is far from "nobody"," he says ironically. Earlier it was reported that residents of Yalta complain that after the summer season, the main beach of the city "Primorsky" has more in common with a dump than with a place for rest. Recall, in the center of occupied Sevastopol, the level of pollution of sea water exceeds the norm by 5 times. The analysis was carried out in connection with the water pollution in Artbukht Sevastopol, the area of ​​which was about 600 square meters.